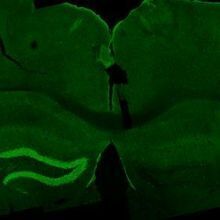 Electrically stimulating the lateral orbitofrontal cortex, a brain area behind the eyes, improves the moods of people with depression, according to a study published yesterday (November 29) in Current Biology. 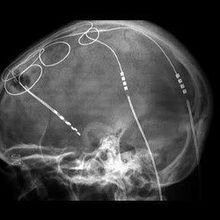 The technique used by the researchers, led by Edward Chang of the University of California, San Francisco, is called deep brain stimulation (DBS), in which surgically implanted electrodes send electrical pulses to particular areas of the brain. The approach is already in use as a treatment for movement disorders such as Parkinson’s disease and tremors. But results on its ability to treat depression have been mixed, as NPR reports. 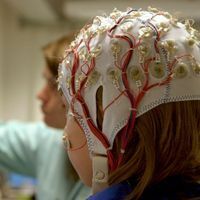 The researchers worked with 25 epilepsy patients who already had electrodes implanted into their brains as part of their treatments. Many of the study participants also had signs of depression as evaluated by mood tests the researchers administered, Science News reports. 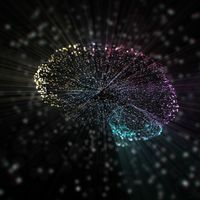 The investigators tried stimulating many areas of the brain, and they found that jolts to the lateral orbitofrontal cortex made patients with signs of depression—but not others who didn’t have symptoms—feel better right away. “Wow, I feel a lot better. . . . What did you guys do?” study coauthor Kristin Sellers recalls a patient exclaiming after receiving the stimulation, she tells NPR. “Only the people who had symptoms [of depression] to start with improved their mood, which suggests that perhaps the effect of what we’re doing is to normalize activity that starts off abnormal,” adds another coauthor, Vikram Rao. The effects wore off soon after the stimulation ended, NPR reports. The latest study offers “more evidence that [DBS] is something that is real and will work for depression,” Al Fenoy, an associate professor of neurosurgery at the University of Texas Health Science Center at Houston Medical School, who was not involved in the work, tells NPR. Fenoy has found that stimulating a different region, which makes connections with the OFC, can also alleviate depression. Chang’s team hopes to develop a device that could monitor the OFC and stimulate it as needed to regulate mood, according to a statement.